We have a parts department selling parts and accessories to both trade and the public. In the workshop we do servicing and restorations/rebuilds and autologic diagnostics. Landranger has been in business for over 25 years in the Stoke-on-Trent area starting in Longton then moving to our current premises on King Street, Fenton over 17 years ago. 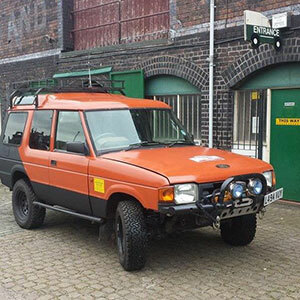 We are active members of The Staffordshire and Shropshire Land Rover Club, competing in road vehicle/modified vehicle trails and competitive safari speed events. Landranger supply and advise many local garages, we are also suppliers to national fleet companies and government departments.